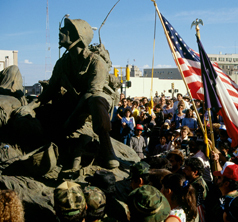 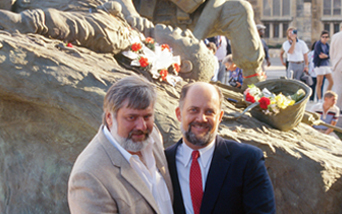 San Antonio’s Vietnam Veterans Memorial and Veterans Memorial Plaza were dedicated on Sunday – November 9th 1986. 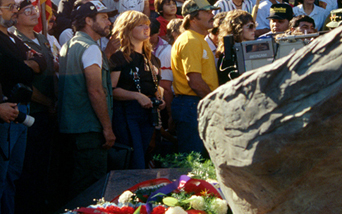 The ceremony began with an Air Force F-16 flyover in the “Missing Man” formation, followed by a squadron of eight Army Huey Gunships stirring the emotions of a crowd estimated near 10,000. 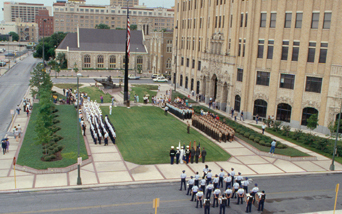 The Air Force Band of the West was flanked by a full color guard and platoon size contingents from the Army, Navy, Marine Corps, Air Force and Coast Guard. 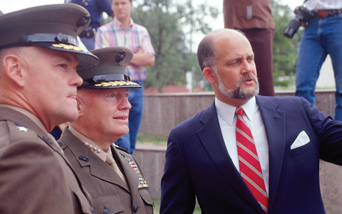 It was a remarkable, memorable day…a long overdue and much deserved welcome home for our veterans. 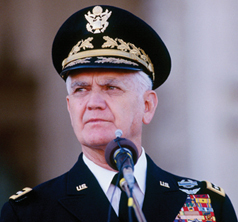 Retired Army General William C. Westmoreland, commander of all U.S. 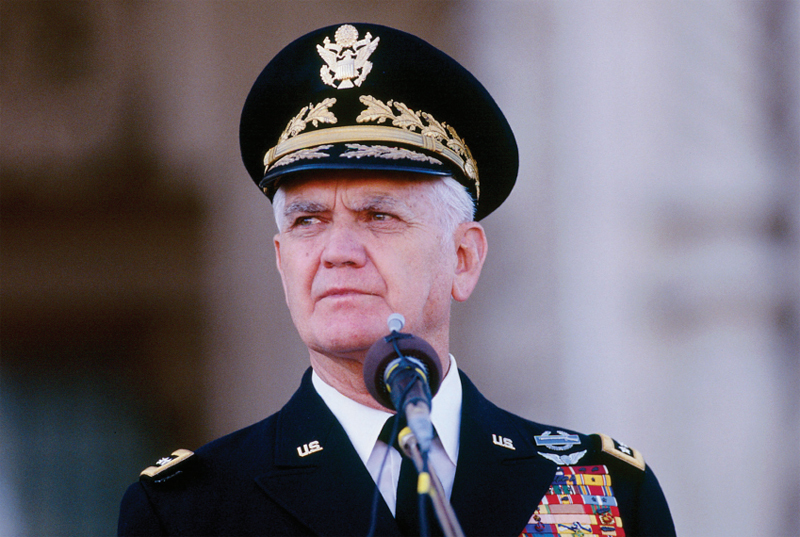 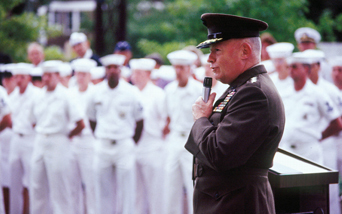 Forces in Vietnam (1964-1968), was the keynote speaker. 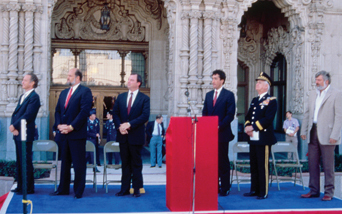 In addition to the Vietnam War’s top soldier…other speakers included: Founder & Chairman of the Vietnam Veterans Memorial of San Antonio, Inc. – San Antonio businessman and Vietnam veteran – John D. Baines; US Congressman Tom G. Loeffler; and San Antonio Mayor Henry G. Cisneros. 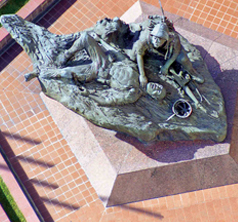 Veterans Memorial Plaza was created to provide a place of honor to pay tribute to our veterans and those that didn’t return from far away battlefields. 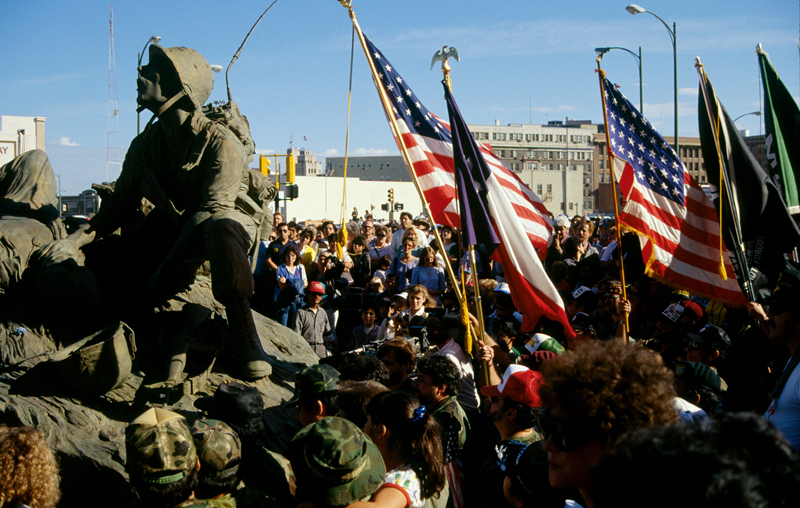 The plaza’s centerpiece is “Hill-881 South” – San Antonio’s Vietnam Veterans Memorial. 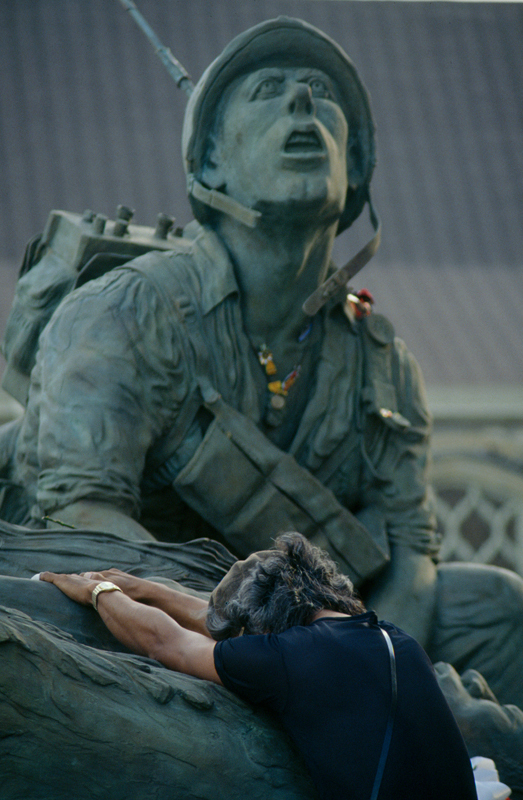 The memorial is a larger-than-life heroic scale bronze sculpture that depicts a Marine Corps radio operator lending aid to a fallen comrade during the Khe Sanh hill fights of April-May 1967. 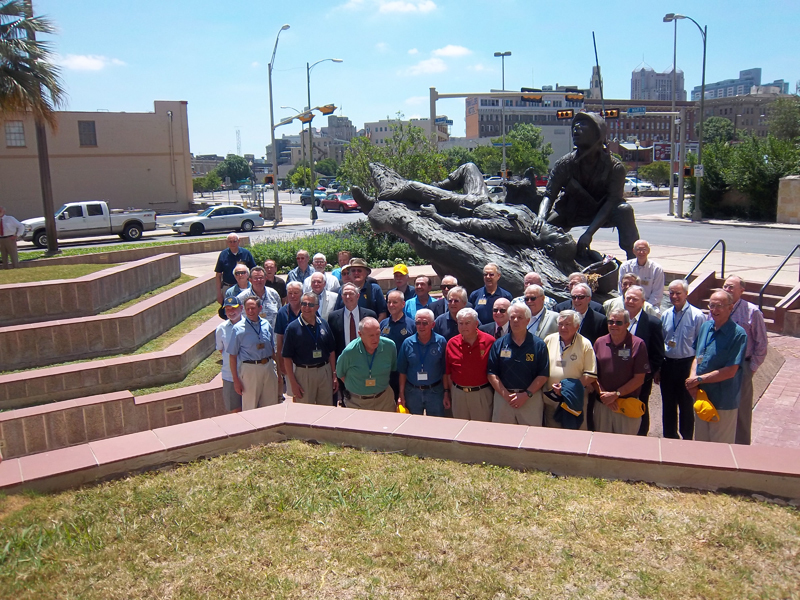 It is believed that this is the only Vietnam Veterans Memorial in the country that depicts an actual battle scene. 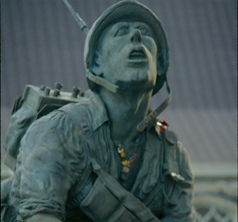 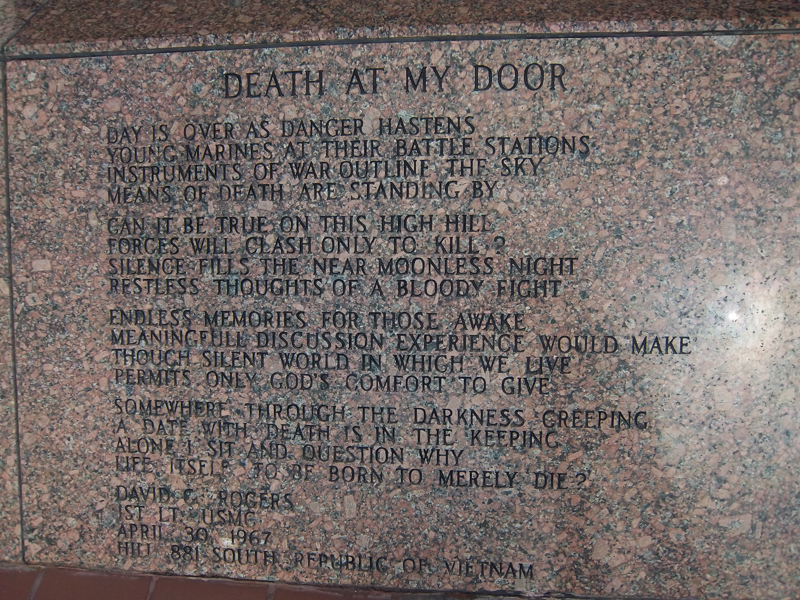 The unique story behind one of the Alamo City’s most significant outdoor art pieces is addressed on the Factoids and Footnotes page of our website. 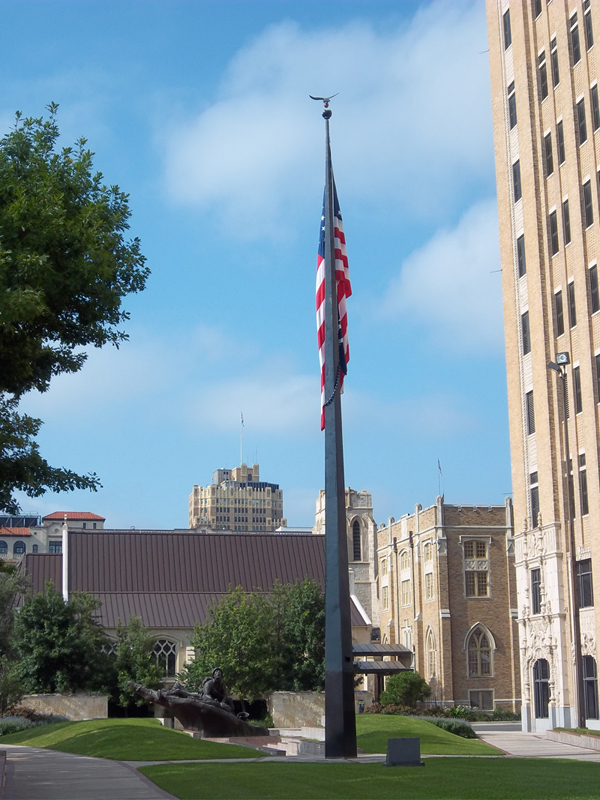 Copyright © 2014 Vietnam Veterans Memorial of San Antonio.Website Design Webhosting by WebsiteService4All.